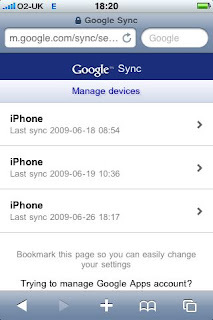 This is a step by step guide to setting up Google Sync services on iPhones running Apple iphone OS 3.0. 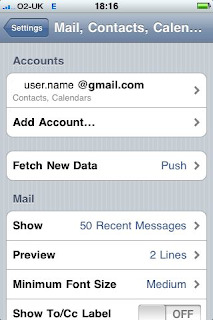 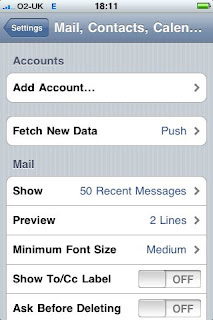 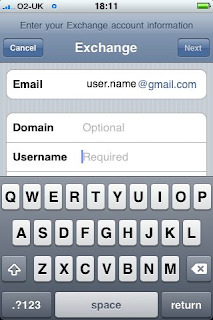 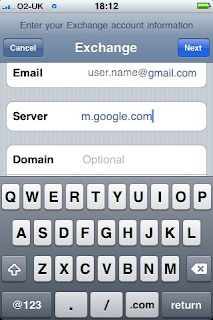 Step by step this is how to link your google calendar and google mail contacts to your iPhone. 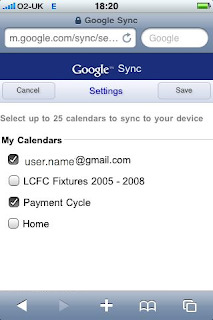 2 way syncing is soone yours! 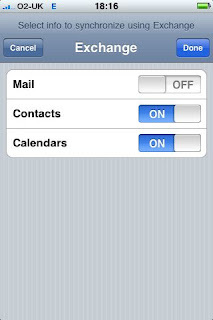 Let me know any problems to make this better for us all. 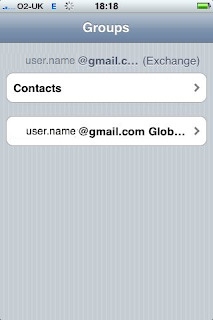 Enter the exchange information shown (substitute user.name in the following screens for your own google account - especially careful if you have a googlemail.com account typically in Europe). 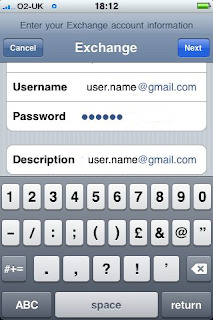 Enter your Email address, press Next, Enter the username and password, Press Next. 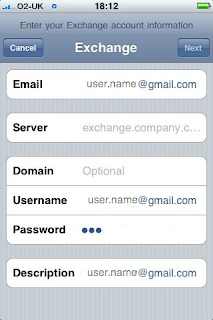 Ok, we're nearly there, you will see your new account all setup now and your iphone address book will look like the groups screen below.. whilst you're here your iphone is busy talking to the google servers downloading what is needed. 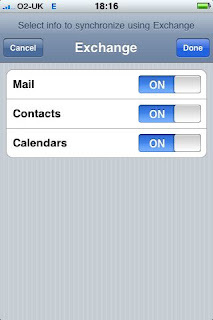 Now if you have multiple calendars, be sure to open Safari on your iphone (this doesnt work from your PC or Mac!) 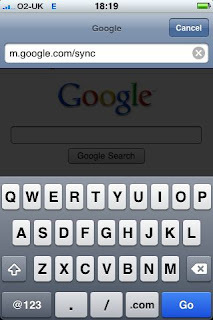 and visit http://m.google.com/sync as shown below. 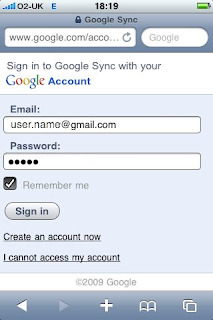 UPDATE: If you have a Google Apps account (not straight forward gmail etc) please follow the steps in this post now. 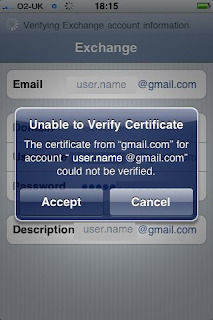 Your'e all done! 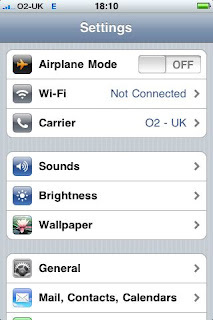 If you have a lot of data make sure you have a data connection, Wifi is best to start with. 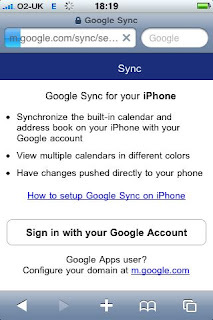 Remember this first sync will only download from google. 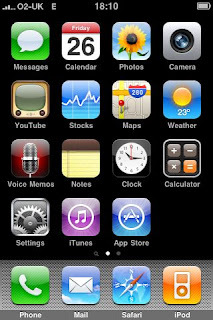 It wont upload anything here already on your iphone. 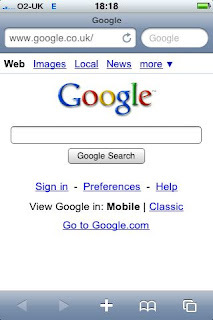 New additions on your iphone will push straight up to google though..